Sexual dimorphism is a fancy way of saying that the males and females of a species are different. 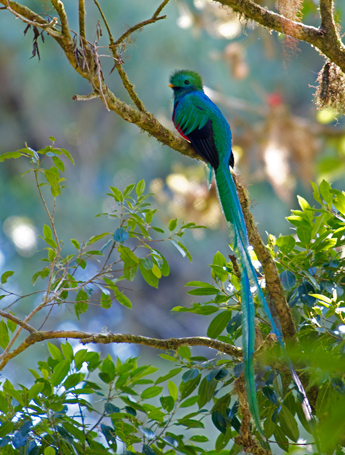 Among birds, there are lots of reasons for gender differences. 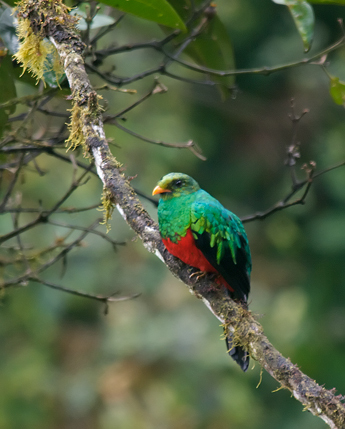 One common reason is that, while the birds are on a nest, they are hunting in the same territory. To the extent they don’t compete for the same food, they are more likely to succeed in fledging young. Sometimes the food may be only slightly different, but in evolutionary terms a slight difference can, over the life of a species, make a big difference. So in some species the male and female have different length bills, for example. Among birds that hunt on the wing, hawks and owls, for example, where the female carries a clutch of developing, unlaid eggs, being a bit larger allows you to hunt just a bit better. So you are more likely to survive to lay the eggs and, since you ate a little better, the eggs are likely to produce slightly more healthy chicks, and therefore more likely to mature. Interestingly, the more agile the preferred prey, the greater the size difference. A third reason for sexual dimorphism is camouflage. 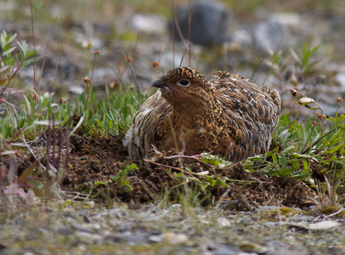 Among ground nesting birds, a well-camouflaged female on eggs is less likely to be seen and killed, or her nest raided. But a few species go further, and the male is actually distractingly easy to see, and leads potential predators away from the female and nest. 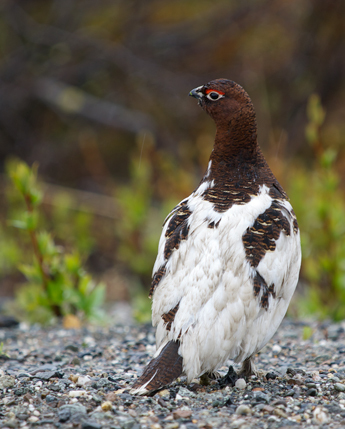 Willow Ptarmigan accomplish this by delaying the male’s molt from winter white. 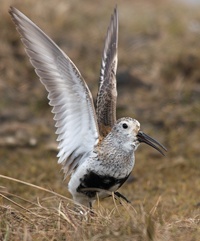 The female changes to the very effective mottled brown; the male stays white much longer, until the eggs are hatched, and stands out like a sore thumb on the brown and green tundra. The male, on the left, was busily leading WC away from his mate, hunkered down on eggs, shown on the right. When the eggs hatch and the chicks are out of the nest, the male molts into a camo plumage much like the females. Of course, more than one of these factors can be in play at one time. And there are still more reasons for sexual dimorphism. But we’re not doing science here; we’re looking at why birds are cool. And seeing still more evidence of evolution.